A high-pitched, electronic beeping pierces the quiet night. You wake up confused and drowsy and see nothing but thick, black smoke. You hear a distant crackling and the thud of objects falling to the floor. The walls creak, light bulbs pop and glass shatters in nearby rooms. Do you stand up and open the bedroom door to see where the fire is? No. Standing up into smoke and poisonous gases could disorient you. Inhaling super-heated air, up to 315.6°C (600°F), can scorch the lungs and melt clothes to skin. Opening a door could add more oxygen to the fire as it bursts into the room, resulting in burns. A home can be consumed by fire in five minutes, so every second counts. You’re panicked, mind racing of what to do, wishing you were better prepared. Especially if you’re 5 years old. 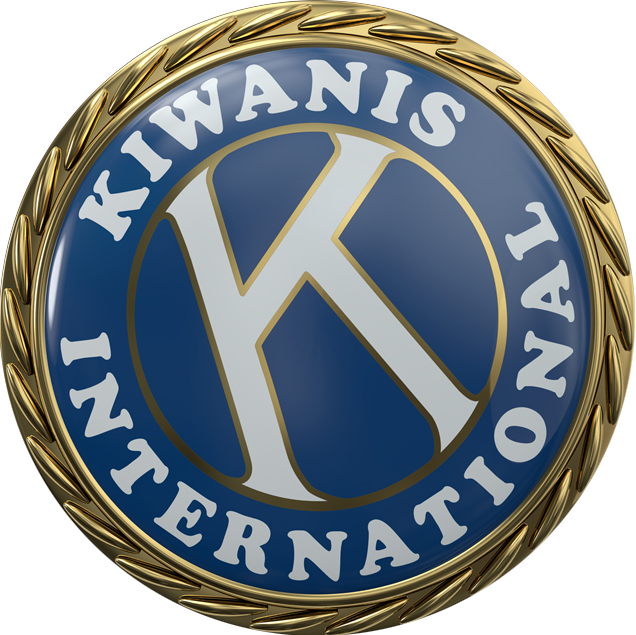 Enter the Kiwanis Club of Brantford, Ontario, and the Children’s Safety Village of Brant, a two-acre site with classrooms, a fire-hazard apartment and miniature town with roads and working traffic signals. The village is designed to teach kids about safety in any situation, even the most dangerous ones. Over the past 12 years, more than 80,000 students, kindergarten through eighth grade, have benefited from the police and fire training at the safety village. The innovative, hands-on approach for emergency situations and accident prevention has prepared children for dangerous scenarios and taught them how to lessen the chance of life-threatening injuries. Sparky the Fire Dog, introduced in 1951 by the National Fire Protection Association, is the mascot of fire safety, akin to Smokey Bear. Students follow instructor Bob Sproul, fire prevention officer at the Brantford Fire Department, from the classroom into Sparky’s apartment. At first glance, his apartment is littered with hazards. An electrical cord dangles, where a child’s pull can bring the hot iron falling to the floor. Pizza boxes in the oven could catch fire. Sparky must be one forgetful dog. Sproul holds an empty scented wall plug-in diffuser and turns it to show a blackened plug where a flame had started. There are stunned expressions around the room, including from Sainte-Marguerite-Bourgeoys Catholic Elementary School teacher Marie-Sol Harding. A six-outlet wall adapter, not meant for kitchen appliances, hides a charred base where a fire began. Kids raise their hands with great questions for the instructor. Students point out more hazardous situations: a cardboard box with newspapers too close to an unscreened fireplace, a radio set on the bathtub. The smoke alarm goes off and suddenly Sparky’s bedroom fills with white smoke. Now it’s time to put the instructions and demonstrations into action. Quick discussions break out from the students about what needs to be done. Kids crawl to the door and feel it with the back of their hand, which they learn is more sensitive than the palm. The door is warm to the touch, so they crawl to the second escape, the window, and climb out. Down the hall is the neighbor’s house, the designated meeting spot, where they call 911 from the phone on the wall and hear a taped conversation of an emergency operator and a child. “I do believe they apply this at home, because my children … came here to the village,” Harding says. “They came home and asked me to do a safety plan, about our fire meeting area. On the police side of the village, there’s a large traffic light, and a crosswalk sign flashes behind the instructor, Constable Chad Crawford, crime prevention and community safety officer. He’s demonstrating proper bicycle maintenance and safety checks. He discusses how to properly fit your bike helmet, use hand signals when turning or stopping and what the different traffic signals and signs mean. It might seem tedious for adults because of their daily experiences with road signage and rules of the road, but to a child, it’s new territory. A sign with an X shape appears ahead. Some of the kids are confused. Constable Crawford reveals it is a railroad sign. He points out that it’s easy to fall off your bike or get a tire stuck in a railroad track when crossing. During the next day’s event, parents and grandparents bring their kids to a bike and Jeep rodeo. Kids beam with big toothy smiles as they ride around in motorized Jeeps, learning the rules of the road. Other children on bicycles practice essential cycling skills, turning through cones and making figure eights. Police officers check off each child’s safety task list, teaching them about obeying traffic signals and lights. The parents are happy. The kids are happy. Lisa Lesnicki-Young, executive director of Children’s Safety Village of Brant, is happy. Leo Vos and Bob MacLean, president and vice president of the safety village, as well as the Kiwanians responsible for bringing it to one of the smaller towns in Ontario, are proud of their community impact. And it’s not just the kids who are happy about what they’ve learned. “Certainly parents we talk to are really grateful and enthused about their kids coming here,” Vos says. There’s pride among the fellowship of safety officials, instructors, parents and Kiwanians, watching the kids make their laps, seeing children learn and act safely.